Tamuang P.O.W. Camp, 1945. 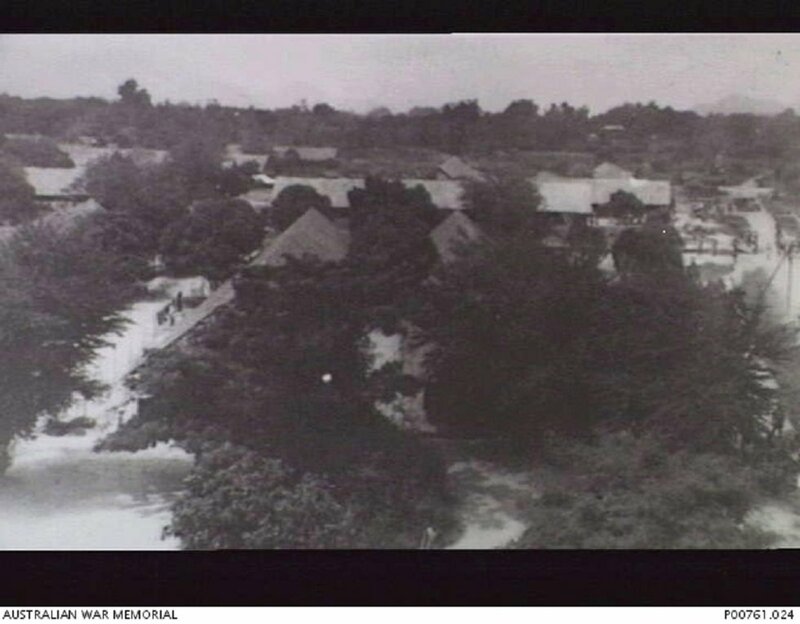 Image donated by A. Mackinnon, provided courtesy of Australian War Memorial. Between 18 January 1943 and 14 November 1943. 31 December 1944. The defendant, Major Mizutani Totaro, was accused of three separate charges. For the first charge, Mizutani was accused of inhumane treatment of P.O.W.s involved in the construction of the Burma-Siam railway. These included, inter alia, forcing sick prisoners to march for over 200 miles to work, failing to provide sufficient food and medical supplies and physical maltreatment. 570 out of around 2000 P.O.W.s allegedly died under Mizutani's charge. 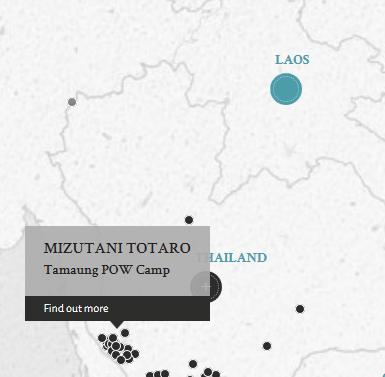 For the second charge, Mizutani was accused of ill-treating an unnamed Burmese civilian who had been begging for food. Mizutani allegedly took a burning piece of wood and touched the victim with it, causing burns all over his body. For the third charge, Mizutani was accused of killing a British P.O.W., Fusilier Wanty, L.W., after Wanty was caught wandering outside his sleeping quarters after lights out. Mizutani shot Wanty from the back with a rifle. Mizutani was an elderly former professional soldier who enlisted in 1907 and retired in 1930, but recalled in 1938 at the outbreak of the second Sino-Japanese War. Mizutani’s age (62 at the time of the trial) caused various problems during trial. The trial also provided an insight into the role of Korean guards in the Japanese Army. Mizutani claimed that Korean guards were volunteers who had signed up under a 2-year contract, but the waning Japanese war effort meant that they were not allowed to return home even after the contractual period. Mizutani stated that he felt that Korean guards were unreliable, and believed that they had no knowledge of firing a rifle. Mizutani also testified that the Japanese HQ did not trust the efficiency and professionalism of Korean guards. Mizutani, Totaro. Major. From Japanese military. From Japan. Guilty. Death by Hanging. Sentence confirmed. de Froideville, C. Monod. Lieutenant Colonel. From Dutch military. Topping, R.J. Major. From British Indian Army. Couch, E.L. St. John. Lieutenant Colonel. From British military. Solicitor. Schneider, Albert W. Captain. From US military. Attorney at Law, New York State Bar. Tokunaga, Shoji. Senior Officer. Prosecutor at Tokyo Local Courts, Japan. Amano, Kenji. Senior Officer. Judge of the District Court, Osaka, Japan. Gray, W.M. Major. From British military.